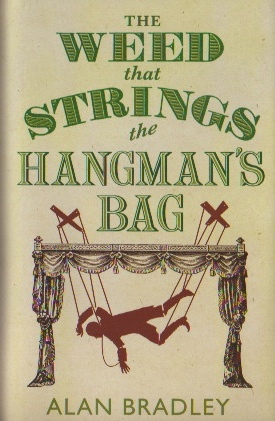 The Weed that Strings the Hangman’s Bag is the second of the murder mysteries featuring the precocious eleven-year-old Flavia de Luce, set in 1950’s England. I read the first one a couple of years ago during the 24 hour readathon (my thoughts are here) and enjoyed it sufficiently to start collecting the sequels (I already have the third and hoping to get the fourth as a present for my birthday at the end of this month). Flavia’s circumstances haven’t changed much from the previous story; she is still being treated badly by her horrid older sisters, her father is still distracted by financial worries and she is still sticking her nose into adult affairs which she doesn’t entirely understand of course given her tender years. On this occasion a travelling puppet show finds itself stranded in Bishops Lacey and Flavia gets involved (along with the local vicar) in persuading them to put on a show for the villagers and as is inevitable tensions burst out into murder. The underlying story is rather dark and very sad but there is a lot of fun in Flavia’s attempts to get to the bottom of what’s going on. She is a really interesting character; sometimes she seems to be older than she is meant to be (but not often enough to cause problems with consistency) but it is clear that some of the motivations of the adults are beyond her though her instincts and fascination with chemistry lead her to the correct explanation for many of the events (she memorably twigs that one of the female characters is pregnant) and she has the grudging respect from the investigating detectives. This was the perfect read for me at the time, given that I was suffering from Norovirus and needed something worth reading but not too challenging intellectually, and this was exactly that; I read it in a day. Looking forward to reading the next one! I have book one to read, on my shelf. Maybe this year! I’m glad that you enjoyed it, many bloggers have – that age thing seems to be the deciding factor if people like it or not. Also glad that you are over the Norovirus, at last. You were really down with it. The only good thing is all you got read…..
You should give it a try, really worth it. 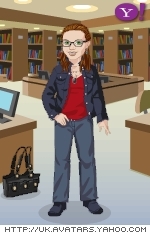 And yes I’m fully recovered now and back to (what passes for) normal!